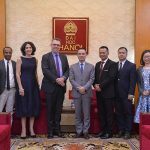 On the morning of April 2, 2019, Mr. Clément Ramiarinjaona, Deputy General Director of Francophonie University Association (AUF), visited and worked with Hanoi University. Assoc. 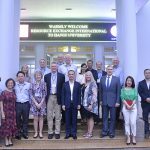 Prof. Dr. Nguyen Van Trao – President of the Hanoi University; Dr. Nguyen Thi Cuc Phuong – Vice President, and representatives of French Studies Department and International Office joined the reception. 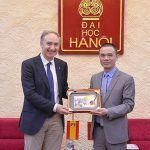 At the meeting, President Nguyen Van Trao was delighted to welcome the delegation of AUF and expressed his appreciation for the valuable support of AUF to Hanoi University through projects that the university is implementing. 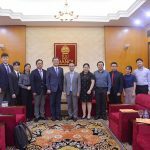 Especially, it was the project “Quality Assurance in University Administration” which was completed in 2018 and achieved high results. The university is committed to improving the quality of projects that the university is participating in to spread the values ​​set by the project. 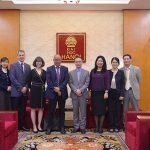 According to Mr. Clément Ramiarinjaona, he was very happy that AUF’s cooperation with Hanoi University was highly effective, and hoped that in the coming time, both parties will work together to build beneficial cooperation projects for both sides. He also congratulated the university for having experts to become experts of Laos. 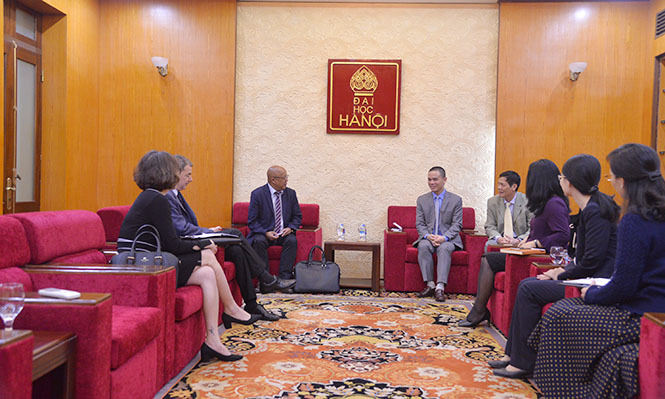 Thus, Hanoi University will be the leader in deploying all projects in the region. Francophonie University Association (AUF), established in 1961 in Montréal (Canada) is a multilateral organization supporting cooperation and solidarity among university organizations using French language, especially paying attention to French countries in Africa, Arab countries, Asia – Pacific, Central Europe, Eastern Europe and the Caribbean. Currently, AUF has about 845 members from 111 different countries, including public and private universities, university training institutes, a network of institutions and operating networks related to the university. 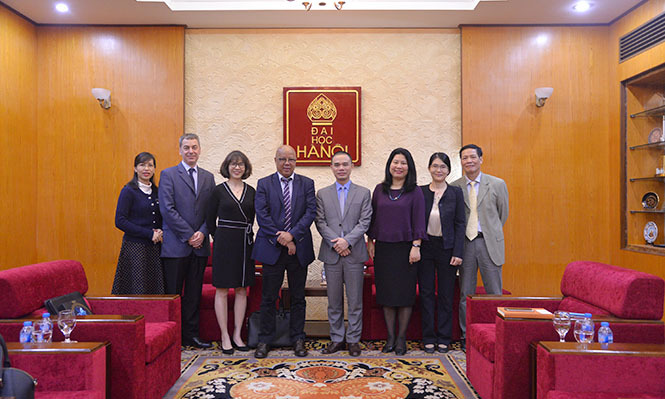 Up to now, AUF has funded Hanoi University projects to improve the quality of university administration, supported the development of training programs, and enhanced teaching practises and research of lecturers, supporting the establishment of French-language alumni network, organizing start-up competitions for French language students and summer courses to enhance exchanges to discover cultures of Asia – Pacific countries.